CyberVally is a very popular blog, which more than 10000 readers and a big social media following. Your guest post will be viewable by all these readers. Also you get more exposure in the form of nofollow backlinks to your own blog. What Type of Posts we Expect? 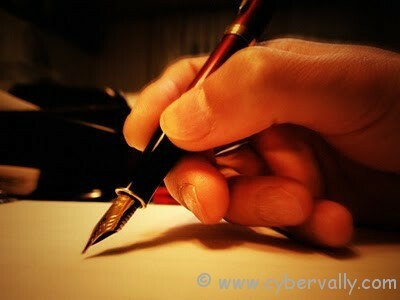 We expect well written posts related to technology, mobiles or gadgets from guest writers. The posts that you send to us have to be unique and it should not have been posted anywhere on the Internet previously. When we review the posts received by guest writers, we run some background checks to see if the post is unique.If we find that the post has already been used somewhere else we will intimate the guest authors about the same and not publish the post. You can send us guest post in Word documents, text files and you can also send documents hosted on Google Docs. Please include all the images used in the post as separate attachments. How can you send your Guest Posts to us? Please email all your guest posts to arun[@]cybervally.com ( remove [ ] ). While sending an email make sure to add the guest post as an attachment along with images. If you have any other questions, please feel free to email us at the above email address.